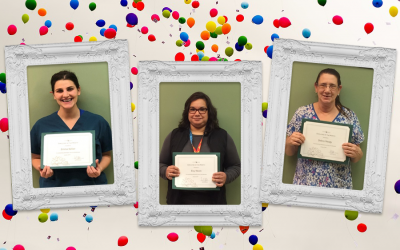 Please join us in congratulating the graduates who completed their Nursing Assistant Training (NAT) Program this month at Cedar Haven Healthcare Center in Lebanon, PA. 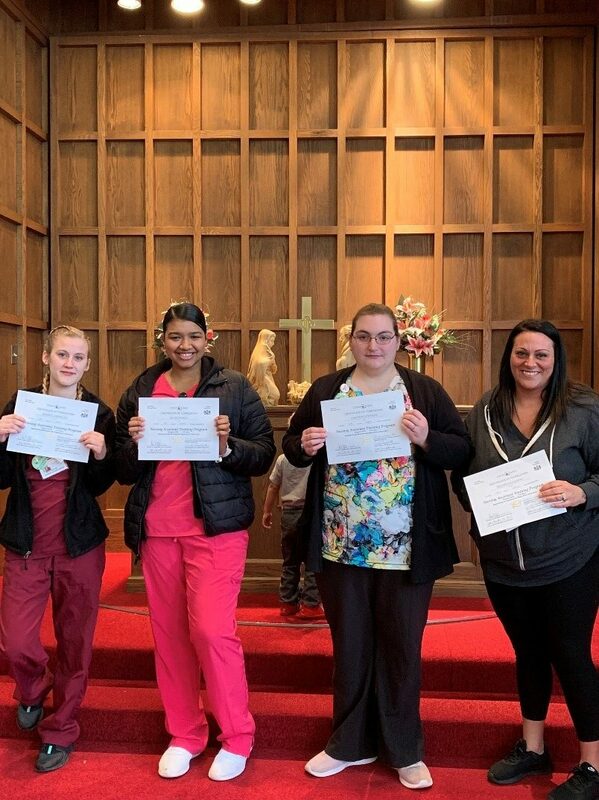 These new Nursing Assistant Trainees completed a 3.5 week course with the goal of joining our skilled team as a Certified Nursing Assistant (CNA). Each student received hands-on training from our knowledgeable Staff Education team so that they can assist our residents with the Activities of Daily Living. 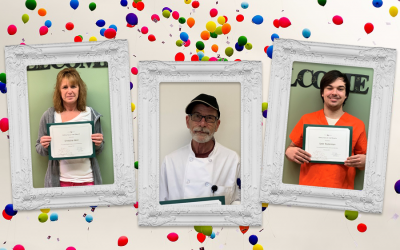 From all of us at Cedar Haven, welcome to the team and here’s to a successful start to your new career! We are seeking to train and hire new full-time Certified Nursing Assistants (CNA) at our facility through our free, 3.5 week Nursing Assistant Training Program. 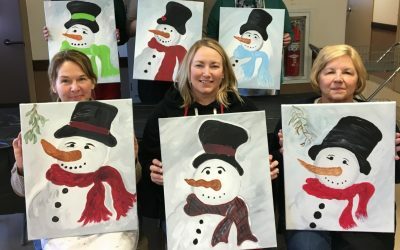 Are you looking to get certified and join a positive and fun work environment? Are you ready to get paid during your training program and then earn one of the highest starting hourly rates for CNAs in Lebanon County? Do you want to work for a skilled nursing facility with zero care-related deficiencies? If so, please read on! We offer an excellent benefits package including attendance bonuses, 3 Health insurance plan options with a competitive employer contribution, dental, vision, AD&D, life insurance, 7 holidays, paid time off (PTO), a 401(k) plan, an annual uniform allowance, a meal program, and employee recognition programs. We even offer discounts to local attractions, a Verizon discount, a free membership to Planet Fitness, a discounted membership to the YMCA, and a free smoking cessation program. If this sounds like the opportunity that you’ve been looking for, apply today! Our next NAT class will begin on May 6th. 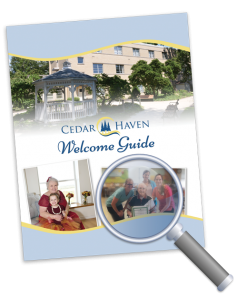 There is no cost to you and no long-term care experience is required.